The Check Ride is conducted with a maximum of 5 students to 1 Instructor. The first stage is a number of exercises held on the training range. The exercises cover correct steering inputs, effective use of vision and eye direction, cornering and braking techniques and exercises involving simulated road-riding . 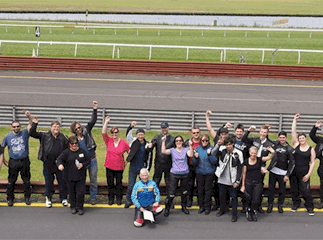 This course is designed specifically for current holders of a motorcycle learner permit, but have not had the opportunity to further develop their practical riding skills since obtaining their permit. 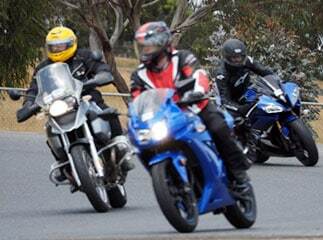 For applicants who have attempted an MPA course but have failed to grasp the concept of basic motorcycle control. The course is designed to get applicant skill level to the point where they could resit Day 2 of the MPA course. Scheduled for Weekdays Monday to Fridays, either Morning or Afternoon. Subject to numbers. Designed to help current learner permit and/or licence holders to further develop their defensive skills in traffic. The roadcraft sessions are as hourly increments, one -on-one to suit student requirements. 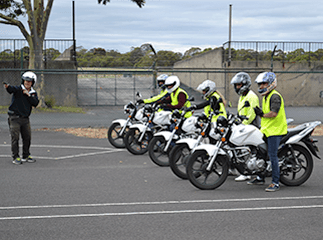 The student must provide his/her own motorcycle for this training and they will be provided with a helmet incorporating two-way intercom communication with the instructor. 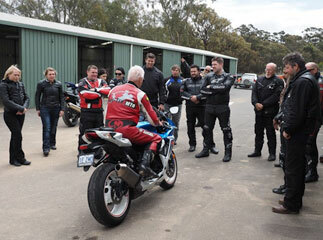 With private instruction you receive the undivided attention of the instructor. The sessions run in hourly increments and as this learning is intensive an hour or 2 may be sufficient. MAXIMUM period of three hours for any one session and will be conducted on weekends only.